Paper shredding can be done both onsite using mobile shredding trucks and off site. Offsite services rely on secure transfer, using our GPS tracked and secure vehicles, to transport documents safely to our destruction facility. All organisations must take responsibility, legally, for destroying paper documents which contain confidential, sensitive, or obsolete personal data. Paper shredding is the easiest, cost-effective and environmentally-friendly solution. Always choose a paper shredding company who shreds to a small enough size to ensure confidentiality, and who has the facility to shred to dust if necessary. You can feel reassured by choosing a company such as On Time Shred which meets BS: EN15713-2009 and the standards for the ISO 9001 Audit. When looking for paper shredding companies, you need to consider a company which holds itself to industry-leading standards and who will uphold your reputation. This is what you get with On Time Shred. You can choose between onsite paper shredding and offsite shredding services according to your needs. Through onsite paper shredding we can destroy 1-2 tonnes of paper per hour. At our offsite document destruction facility, we can destroy over 10 tonnes of confidential waste each hour. 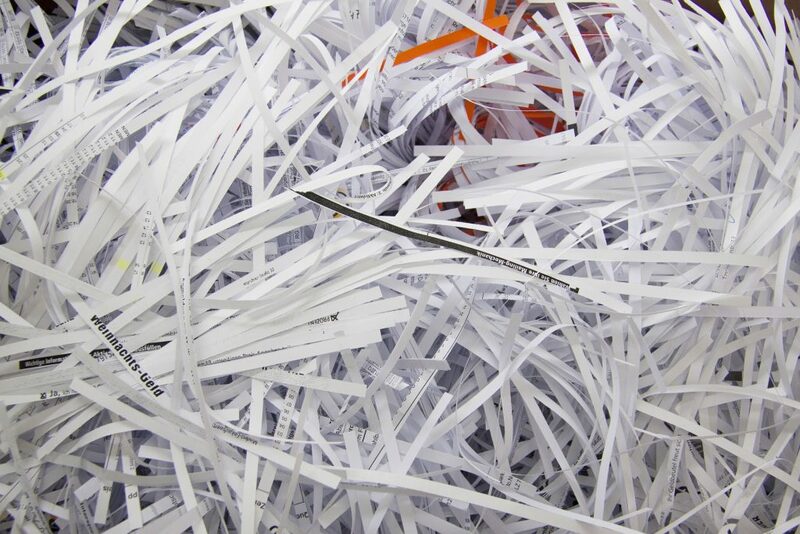 We shred to industry-leading confidential sizes, including shredding to dust if needed, meeting the shredding standards set out by the Centre for the Protection of National Infrastructure (CPNI) and BS: EN15713-2009. Our staff are trained according to national and EU standards regarding the handling and destruction of information. We are a national paper shredding company meaning wherever you are in the UK, we can work with you to securely destroy your confidential documents. Shredding services are available on a one-off basis, or weekly, monthly or annually as required. 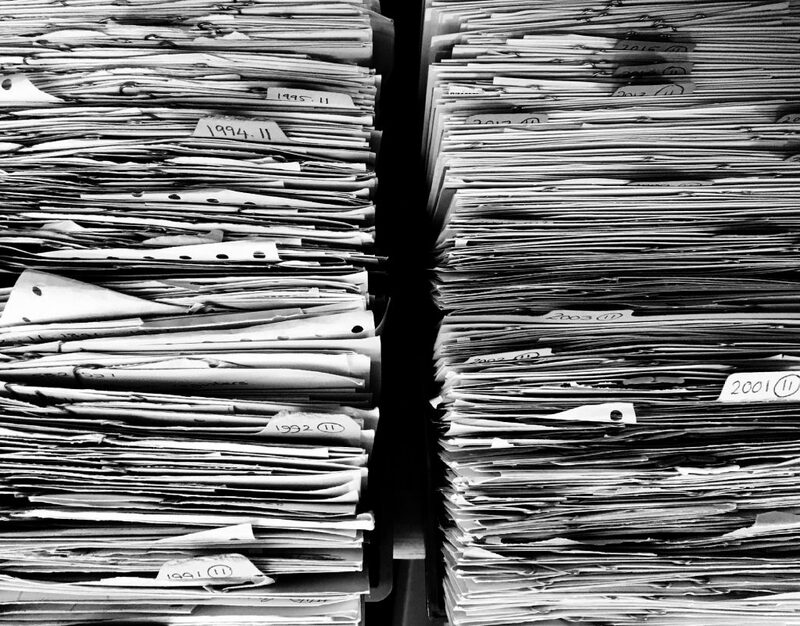 Whether you choose onsite of offsite paper shredding, you will need reassurance that confidential documents and securely stored up until the point of shredding. On Time Shred will ensure you have secure storage facilities on site. These include lockable secure bins and shredding cabinets. Furthermore, all documents are only handled by vetted and trained employees. For offsite shredding, our vehicles are equipped with sealed bodies and GPS tracking. Our destruction facility has 24 hour CCTV, robust perimeter security, restricted and controlled access and regular security penetration tests. Shredding paper-based confidential waste through On Time Shred ensures that all shredded waste is recycled. We deliver this to UK recycling mills, providing you with a detailed Recycling Certificate. All of our mobile shredding vehicles and transportation meets EURO 5 or 6 for emission standards. We stand apart from other shredding companies. Whether you need onsite paper shredding or offsite shredding services, get in touch on 0330 333 1234.